Pharmacy technicians assist registered pharmacists with the distribution of medication and other healthcare products to patients. They typically perform those tasks related to the preparation of medications for patients, such as measuring, weighing, and pouring mixtures, counting tablets, and labeling bottles. 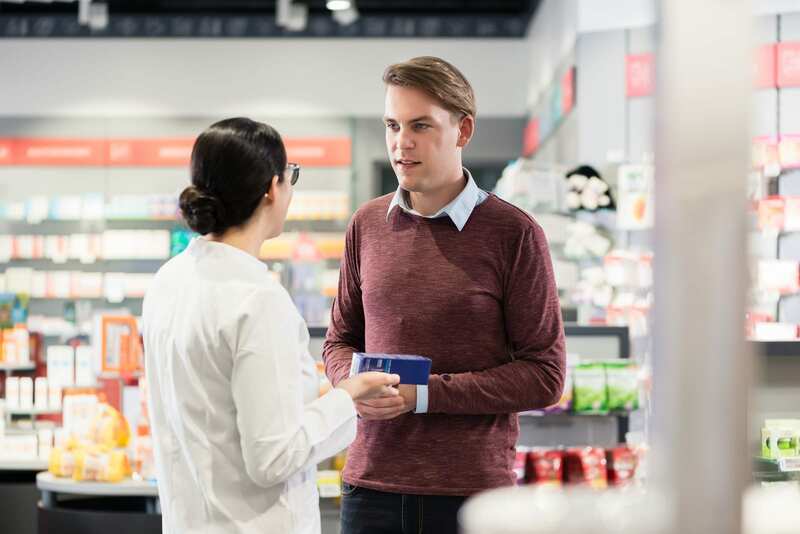 On the front lines of the pharmacy, technicians also receive written prescriptions from patients, refill requests, and electronic prescriptions sent from the physicians’ office. Upon receipt of the prescriptions, technicians will check the information for accuracy and completeness before retrieving the medications, packaging the containers, and affixing labels to the containers. Apart from the preparation of prescriptions and related duties, technicians also monitor and order medication inventory, collect customer payments, process claims for insurance companies, keep a clean and safe environment. Pharmacy technicians who work in hospitals and nursing homes may have additional duties that include using automated dispensing machines, collecting patient medication history, prepare IV fluids, read patient charts, and deliver medications to the patients’ rooms. A pharmacist must check all the technicians’ work before it is delivered to the patient. With the weight of responsibility that technicians carry in the pharmacy, training becomes essential. Pharmacy technician programs include all the elements of preparation that is essential for entry-level employment in a pharmacy setting. The training will also include preparation for success on a national certification exam. Certification is required by most employers as it demonstrates technicians’ commitment to public health and safety. 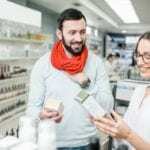 Technicians work in hospitals, drug store chains, retail pharmacies, grocery stores and other settings. Up to two-thirds of the employment for technicians is in retail pharmacies. Technicians in Michigan must apply for licensure to practice in the state. Candidates for licensure must submit to a criminal background check. Pharmacy Technician at Barnabas Healthcare School includes theory and practical work to prepare students for employment in the pharmacy industry. The training emphasizes medication orientation, medication safety, team collaboration, and healthcare education. Students learn how to count medication, manage inventory, measure medication, and manage complete pharmaceutical dosage forms. Tuition for the program is $650. Visit the school’s website to find out more about the class schedule and prerequisites for admission. The pharmacy technician program at Greater Horizon Training Institute includes classroom lectures and laboratory practice to train students in a variety of areas. The program comprises of 210 clock hours of instruction: 120 hours in the classroom, 30 clocks hours of lab practice, and 60 hours of practice in a real-world environment. Course topics will include basic mathematics, pharmacy law and ethics, pharmaceutical calculations, medical terminology, pharmaceutical terminology, pharmaceutical techniques, and record keeping. Students will also learn pharmacy billing, insurance claims, customer service, communication, drugs and their effects on the body, and inventory management. Students must learn the drug names, actions, uses, and dosages. The duration of the program is 7 weeks. Graduates will receive a Certificate of Completion and will be eligible to take the National Certification examination administered by the National Healthcareer Association (NHA). The school admits new students throughout the year. Interested persons should meet with an admissions specialist to learn more about the programs. Greater Horizon assists graduates with job placement but does not guarantee employment. Students who successfully complete the pharmacy technician program at Macomb Community College will receive a Workforce and Continuing Education certificate to take the PTCB exam. 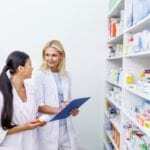 They will have the competencies to fill the demand for technicians in retail and institutional pharmacies. Candidates have the option in enrolling in the ambulatory pharmacy technician program or the institutional pharmacy technician program. Course topics include aseptic techniques and sterile compounding, pharmacy operation, pharmacy law and ethics, customer service, drugs and their effects on the body, pharmacy terminology, reading and interpreting prescriptions, dosage calculations, unit dosages, packaging and label prescriptions, and much more. Students must participate in a minimum 100-hour internship – 40 hours per week for 5 weeks. Students must complete the health and background check requirements below before participation in the pharmacy externship. Classes meet Tuesdays from 6:00 pm to 9:55 pm. Tuition costs $1,295. Students must budget for books, uniforms, and fees. Dorsey Schools’ Pharmacy Technician training program prepares students for employment in an ambulatory pharmacy where they would dispense medications under the supervision of a licensed pharmacist. The program is ideal for adults with no prior experience in the field. Students will acquire the skills to sterilize equipment, create prescription labels, maintain inventory, assist with the dispensing of medications, fill prescriptions, bill insurance companies, manage customer service issues, and prepare medications for patients. Coursework will include pharmacy operations, common diseases, human body structure and function, laboratory tests, medical and pharmacological abbreviations, medication and their side effects, pharmacy practices, and laws and regulations. A pharmacist and members of staff will supervise students during the mandatory externship in an ambulatory pharmacy. The duration of the program is 30 weeks. Graduates will be eligible to take a national Pharmacy Technician Certification exam to become a Certified Pharmacy Technician. Tuition for the program is $11,984. Henry Ford College prepares adults to become health specialists capable of assisting in the pharmacy operations under the direction of a pharmacist. Students will learn how to prepare and dispense medications according to standard procedures and laws, transcribe and process orders, maintain patients’ medication records and profiles, prepare intravenous admixtures, maintain an inventory of supplies within the pharmacy and communicate effectively with patients and members of the pharmacy team. The program requirements will be completed within one year. Graduates will receive a Pharmacy Technician Certificate and will be eligible to entry-level employment in hospital, community, retail, and other institutional pharmacies. The pharmacy technology program at the Northwest Campus of the WCCCD leads to a Pharmacy Technology Certificate or an Associate of Applied Science Degree. Graduates will be prepared for entry-level positions in a pharmacy to deliver pharmaceutical services under the direct supervision of a licensed pharmacist. The certificate program can be completed in three semesters and covers a total of 35-semester credits. Students will learn introduction to pharmacy technology, orientation to pharmacy technology, pharmaceutical interpretations and calculations, drug distribution systems, pharmacy practice settings, pharmacy technology practicum, and pharmacy capstone course. The certificate total does not include the prerequisites. The AAS degree program can be completed in 5 semesters. Course topics include pathophysiology, general chemistry, college algebra, introduction to logic, drug distribution systems and pharmacology, pharmacy practice settings, human anatomy and physiology, English or professional and technical writing. Tuition for the program is $4,094. Books and supplies cost an additional $2,150. The Pharmacy Technician Certificate program at Schoolcraft College prepares students for a rewarding career as a pharmacy technician in various pharmacy settings. The program combines classroom training with the application of the theoretical principles in a simulation lab. The lab sessions will help students develop skills in the assessment of prescription orders, processing and preparation of orders using order entry systems, and techniques in medication preparations. Instructors will also afford students a first-hand look at pharmacy information management systems and their ability to improve efficiency in preparing medication and billing clients. At the conclusion of the classroom and lab sessions, students will participate in a two-semester long pharmacy externship, which will provide additional hands-on training in a retail and institutional pharmacy. Students must take the courses in sequence and earn a minimum grade of 2.5 to progress to the next course in the sequence. Course topics include pharmacy and the health care system, medical terminology, pharmaceutical calculations, pharmacy systems applications and processes, pharmacology for pharmacy technicians, pharmacy systems techniques, pharmacy technician practicals, communication skills, and PTCB exam preparation. Graduates will qualify for a Certificate of Completion at the completion of 31 credit hours. They also have the option to complete 76 to 86 credit hours for a Pre-Pharmacy AS Degree. The program admits new students once a year in the fall semester. There is a special admissions process for entry into the program. Meet the minimum assessment levels or coursework in math, reading, and writing. Tuition for the program is $4,164. Books and supplies cost an additional $1,736.